Ανακαινισμένο το , το Swiss Belinn Tunjungan εγγυάται στους πελάτες του μια ευχάριστη διαμονή είτε βρίσκονται στη Surabaya για δουλειά ή διασκέδαση. Το ξενοδοχείο δεν απέχει πολύ από το κέντρο της πόλης: μόλις 0 km, και συνήθως χρειάζεται περίπου λεπτά για να φτάσετε στο αεροδρόμιο. Από τη βολική της τοποθεσία, η ιδιοκτησία προσφέρει εύκολη πρόσβαση σε κορυφαίους προορισμούς της πόλης. Η Swiss-Belhotel International είναι γνωστή για τις ποιοτικές τις υπηρεσίες και το φιλικό της προσωπικό, και το Swiss Belinn Tunjungan ανταποκρίνεται στις προσδοκίες σας. Η ιδιοκτησία παρέχει 24ωρη υπηρεσία δωματίου, δωρεάν WiFi σε όλα τα δωμάτια, 24ωρη φύλαξη, ημερήσιος καθαρισμός, υπηρεσία ταξί, φροντίζοντας για τη μέγιστη δυνατή άνεση των επισκεπτών. Απολαύστε ανέσεις υψηλών προδιαγραφών κατά τη διαμονή σας. Ορισμένα δωμάτια περιλαμβάνουν επίπεδη τηλεόραση, κρεμάστρα ρούχων, καθρέφτης, παντόφλες, καναπές - ό,τι πρέπει για να αναζωογονηθείτε μετά από μια γεμάτη μέρα. Εξάλλου, το ξενοδοχείο διοργανώνει πολλά ψυχαγωγικά δρώμενα έτσι ώστε να έχετε πολλά πράγματα να κάνετε κατά τη διαμονή σας. Έξοχες υπηρεσίες και μια εξαιρετική τοποθεσία κάνουν το Swiss Belinn Tunjungan την ιδανική βάση από όπου θα απολαύσετε την παραμονή σας στη Surabaya. 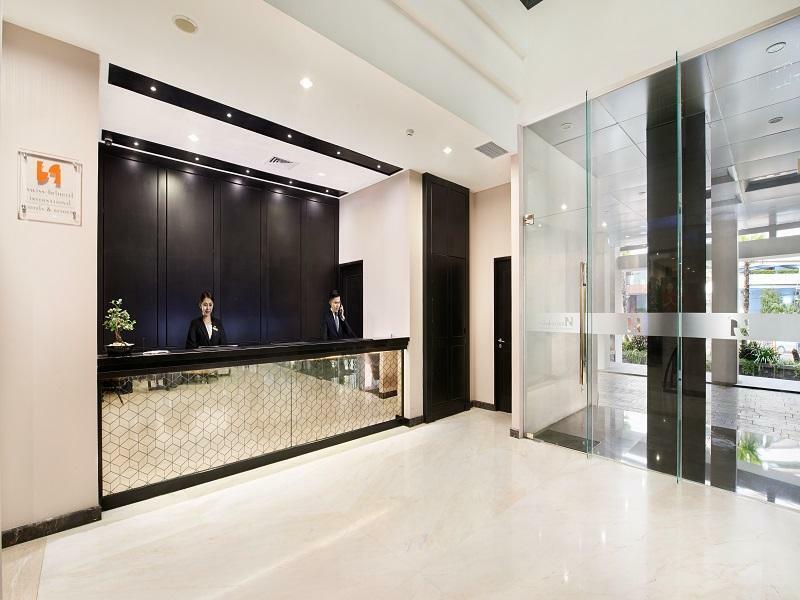 The locality of the hotel is directly opposite the Tunjungan Plaza, a huge shopping mall with eateries when you are hungry and vast array of shops of good quality merchandise. The staff is also extremely helpful. Hotel room is spacious and more than what I expected and their TV entertainment is comprehensive though I am only interested in the news channel. Overall, I will recommend this hotel. Location is just across Tunjungan Plaza, where you can shop, dine in, find some gifts, and no need to use taxi. All you have to do is just crossing the overhead bridge, and you will be there safely and in no time. The staff are very responsive and go above and beyond. They are also graciously take our feedback and quickly provide missing items in the dining area. 2 of the staffs helped me to unlock our broken TSA lock without damaging the luggage itself in just few minutes while we were supposed to leave for Batu, Malang. Couldn't ask for more! We will be back!! The hotel staff was very pleasant and the room was worth the value. The hotel was strategically located to the meeting venue and easy to get good food within the area. I would recommend this hotel highly. Hotel is just opposite Tunjungan Plaza. Bed is comfy. Toilet was not very clean but housekeeping cleaned it after we feedback. Breakfast spread was not bad with a lot of local food. Staff are friendly and knowledgeable. Pool is small and dirty with a lot of small particles floating in the water. If just need to stay for shopping, this is quite a good hotel. The bedfast is ok, limited choice as we are vegetarian. As we stay on the top floor, the view is quite good. Can see traffic is quite bad around the are, never ending. Love the location, just a bridge away from TP. Very clean rooms/bathrooms. Very warm friendly staff. Breakfast is aplenty with traditional menu, snacks. A lot of variety. Clean buffet, 24/7hrs restaurant. Efficient service, emails replied promptly. Housekeeping returned to ask if we needed anything since we put up the do-not-disturb sign previously. Will definitely be back. The only con is that the hotel is along a one-way road. We had to make a far u-turn everytime to get to the hotel porch. Overall we are satisfied staying at this hotel. Room was big. Only a little bit disappointed was about the smell of the towels. They should put fragrance when they are washing it. Also can more provide more bigger space for breakfast since they have a lot of guests stay there. The space was too cramp when it comes to peak hours. Returned to my room in the evening to be welcomed with a sewage-like smell. Had to leave the room door open for some time to rid the odour. The culprit, I believe was from the toilet boil. Having said that, the location was great. I also enjoyed the breakfast spread that was delicious! Very very good stay. Front desk staffs are very attentive and great. Great job to them and the hotel management. Please keep it up. Great breakfast. Great room. Easy taxi, just outside hotel. Good value for money. Good variant of breakfast but need to improve the taste. The hotel has good reputation. Indeed they need to improve the taste, otherwise I will choose for 'no breakfast included' option in my next reservation. Great location just opposite Tunjungan Plaza the biggest plaza in East Java. I stayed here a couple of ninths with my two young daughters and they loved it! The pool was always quiet and the perfect dept for them 1.2m (they spent most of their time here swimming. The Buffet Breakfast was excellent with great selections from traditional Indonesian to western food. The service was friendly and lovely. Room was clean, tidy and spacious enough for us. I requested a large bed but ended up getting a 2 king singles which was okay ( there is always a room for improvement) would highly recommend to friends and family. Thanks for a lovely stay. I gave 5 stars to most of Swiss Bellinn Tunjungan hotel staff. Very polite and professional. 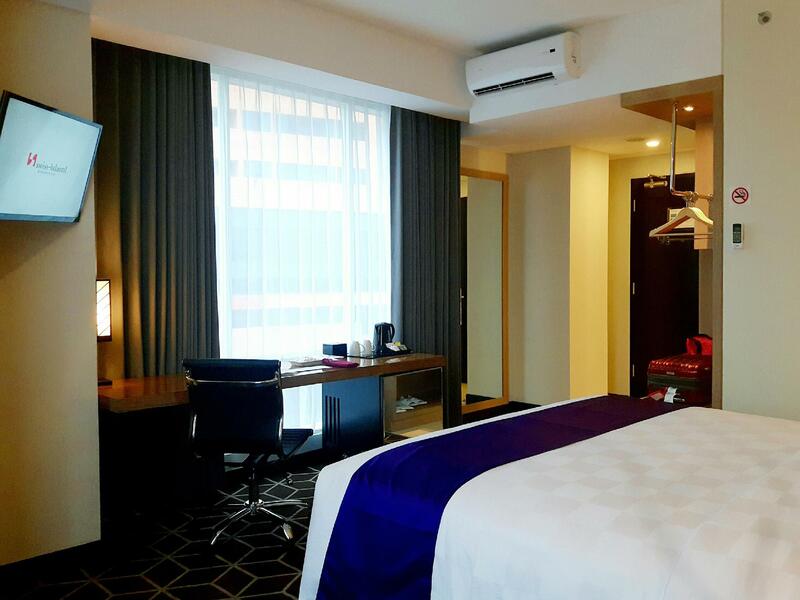 Hotel situated just a bridge away from one of Surabaya's biggest mall, Tunjungan Plaza. Room size is ok, clean and comfortable. With a nice unblocked view of Central Surabaya. Breakfast is good too. Good service and excellent breakfast. Even it is located on a small land area, but rooms are quite spacious. The food they offering are tasty....and the best part of this hotel is located just on the opposite side of Tunjungan Plaza and some historical building in Surabaya. 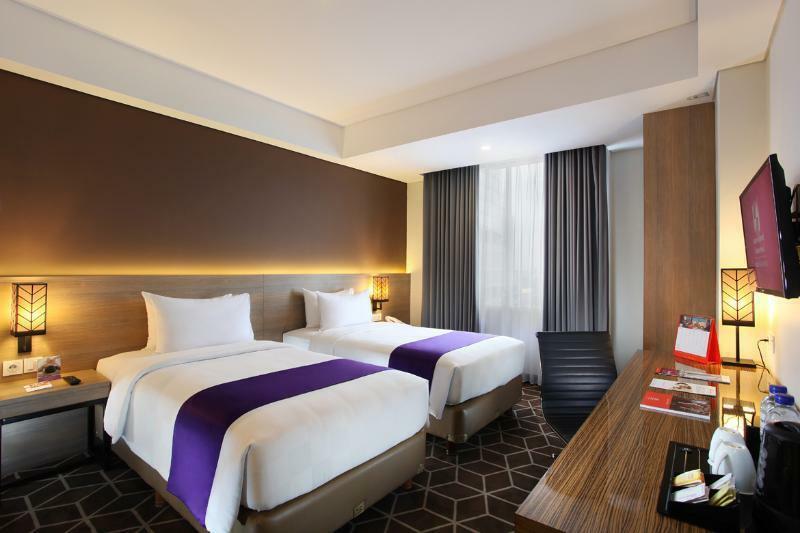 Great looking hotel rooms with a firm bed. Asked for an available room on the top floor and one was issued to me. Great room for a short stay with decent Internet speeds and great TV connection. The morning breakfast spread was amazing. Though some foods might lack in taste, there was a wide variety of local foods on the menu and it was a great tasting session through my stay. The attendants were constantly checking and serving the guests at breakfast and I would say that their service is top-notched! Great for a short term stay for business work. All were good, staff were very polite and helpful and greeting you at all time. Reception was very good specially Fery F who give us a room as requested on higher levels. We enjoyed our stay. Thank you! Σιδηροδρομικός Σταθμός Gubeng στα 1.32 χλμ.